While the news of further power stations from Maracaibo arrives exploded with a consequent blackout that struck a part of Caracas for a transformer on fire in Palo Verde , it raises the level of the clash between Government and opposition in Venezuela and the first sensational arrests arrive. Those in the right arm of the self-proclaimed president Juan Guaidòand another of his collaborators: ended up in prison with the heavy accusation of terrorism after dangerous military-type semi-automatic weapons and foreign money were found in their homes. The official confirmation arrives at 14.51 local time (19.51 Italian time) via Twitter. 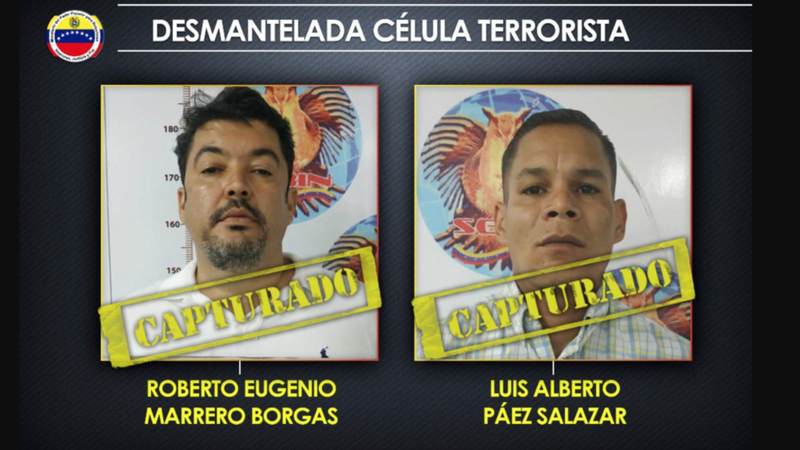 “Thanks to the intelligence services, a terrorist cell was dismantled that planned to carry out selective attacks by hiring Colombian and Central American mercenaries to attack political and military leaders and sabotage public services – writes the official profile of the Ministry for Internal Relations, Justice and Peace – These investigations led to the arrest of Roberto Marrero (49) and Luis Alberto Páez Salazar(34 years) who were directly responsible for the organization of these criminal groups. During a raid a batch of war weapons and cash in foreign currency were seized ». 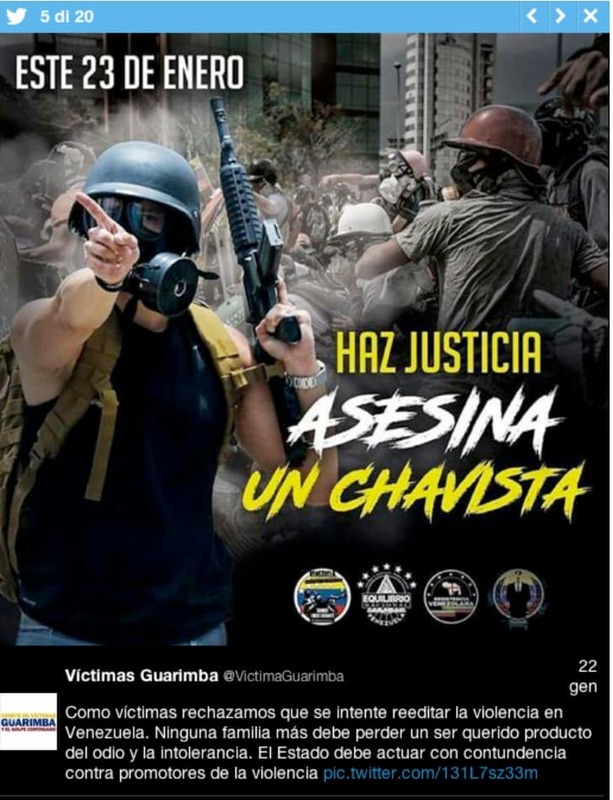 He then finds confirmation of the news regarding the arrest by the 007 of the Sebin (Bolivarian national intelligence service) reported on social networks by supporters of the head of the opposition who had immediately spoken of a “kidnapping” by the men of the secret services . 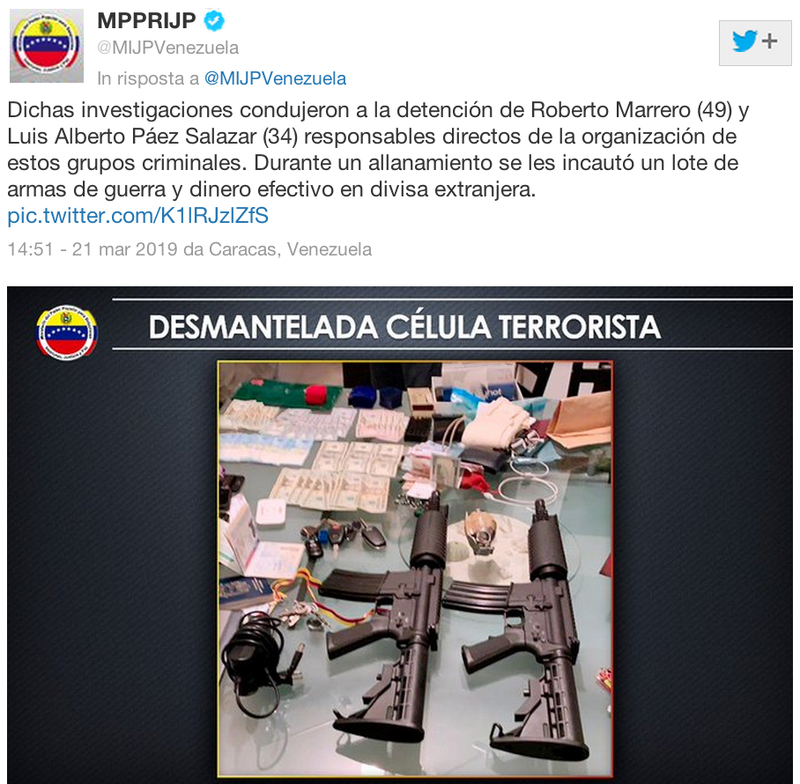 The announcement on Twitter was followed by the official communication to the media of the Minister of the Interior, Justice and Peace, Néstor Reverol, which reiterated the police action to dismantle a “terrorist cell” while Guaidò accused the same Venezuelan security forces of having “placed” weapons at the home of Marrero, chief of staff of the self-proclaimed US-backed president what many Bolivarians consider a real coup. 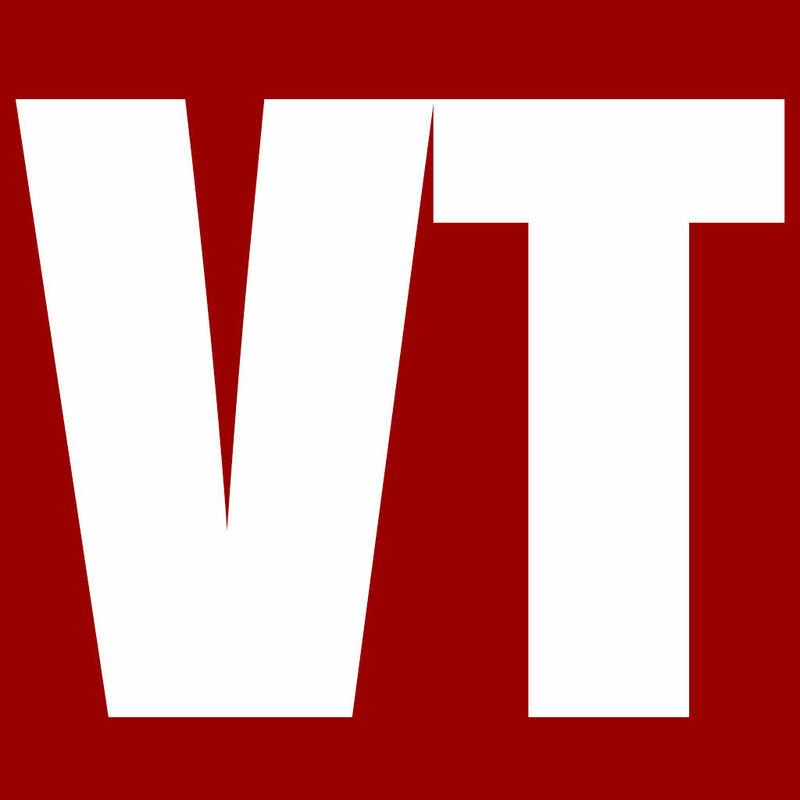 It is believed that the investigations took place within the framework of the investigation opened by the Venezuelan Attorney General Tarek William Saab against Guaidò himself, investigated for electrical sabotage as the intellectual instigator of the plot that with 150 hacker attacks on power plants and at least 11 explosions in the distribution substations had created the tremendous blackout of a week with the consequent interruption of drinking water ( see link below the previous article ). 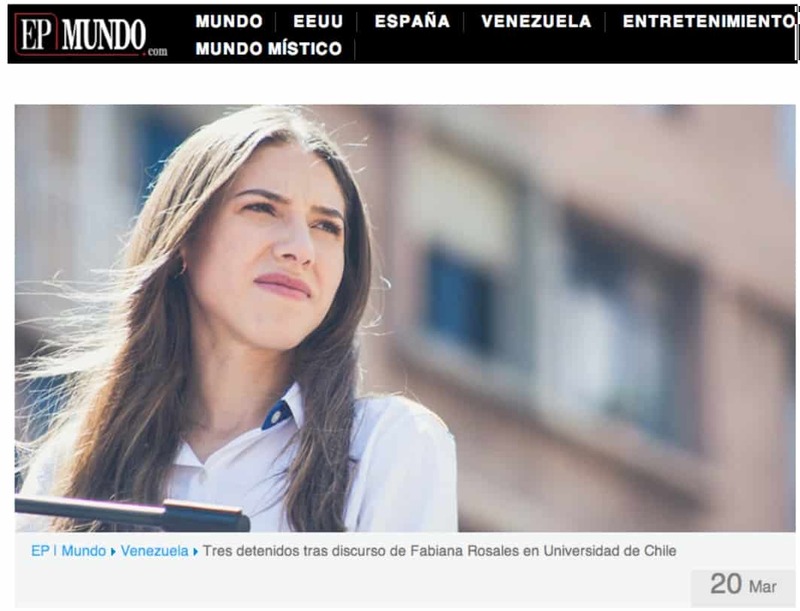 While on social networks bounce the news of the “periodistas” stopped by the Government of Caracas (but almost always released within a few hours unlike those arrested by Turkey’s NATO partner ) it does not appear, however, that there were comments from any organization humanitarian about arrests of journalists supporting Maduro in Chile where Guaidò’s wife held a public conference. 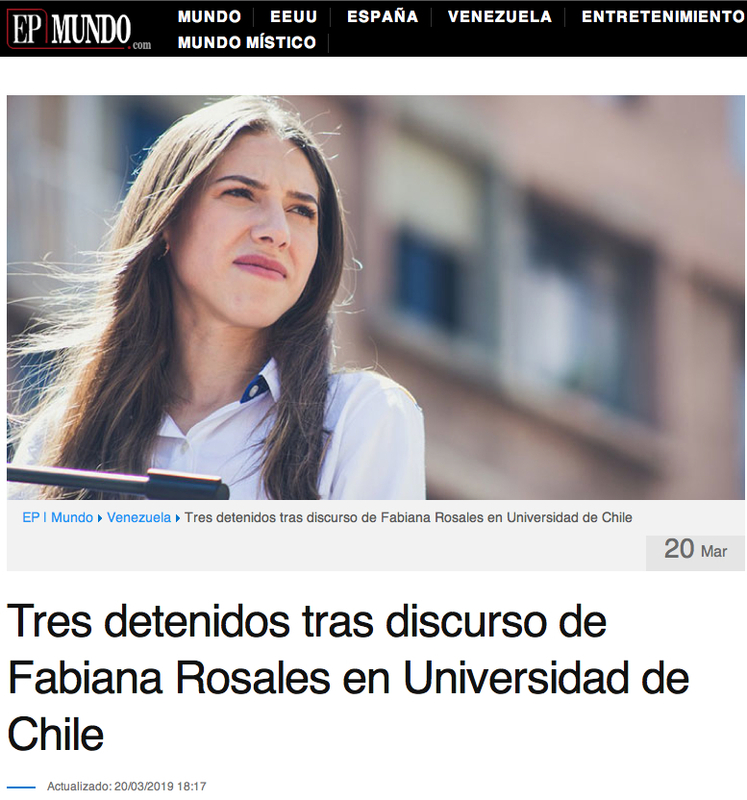 “The speech by Fabiana Rosales at the Autonomous University of Chile did not go well for everyone – writes the Spanish daily EP Mundo – On Wednesday three Chilean citizens, a representative of the Chilean Communist Party, were arrested for disputing Fabiana Rosales’ claims , wife of president Juan Guaidó, during a discussion held at the University of Chile. At the end of the Rosales conference, arrived in Chile to meet the First Lady, Cecilia Morel, inmates intervened, including a Communist from Proletarian Action (AP). 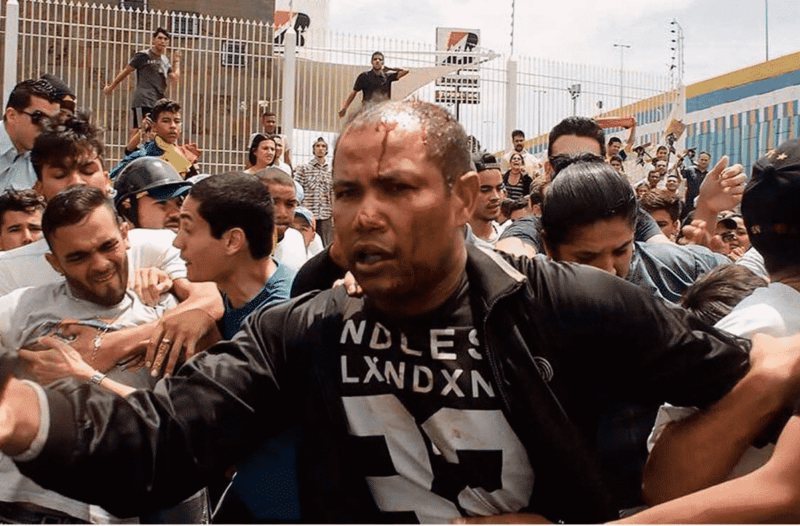 “We wanted to refute what the usurper’s wife Juan Guaidó said, simply by speaking out loud when his speech was over,” said the militant AP, Maximiliano Correa, in a video posted on Facebook for the union by the Association Independent Reporters (ARI) . 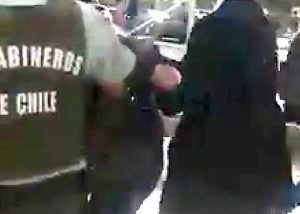 The video shows Maximiliano Correa , who answered questions from the media, as he leaves the Universidad Autónoma de Chilein custody of the guardians of the order. The three citizens were on the university campus to express their support for the President of the Republic, Nicolás Maduro ». No comment on their arrest by the UN High Commissioner for Human Rights, Michelle Bachelet , despite being president of Chile, which instead immediately expressed concern about the fate of radio commentator Luis Carlo Diaz , stopped by the Bolivarian police on 12 last March in Caracas and released the next day. The diplomat Michelle Bachelet , on the other hand, censured the behavior of the Venezuelan government after the inspection she led a week ago together with the UN High Commissioner for Human Rights team: “I am extremely concerned about the shrinking of the democratic space and the incessant criminalization of peaceful protests and dissent – Bachelet said – We have documented this year numerous violations of human rights, and abuses by the security forces and by paramilitary groups called colectivos, collectives, excessive use of force, murders, arbitrary detentions, torture and ill-treatment in detention. Without forgetting that the gravity of the humanitarian and food crisis and basic services has not been completely recognized by the authorities and the measures adopted have so far been insufficient “. The Venezuelan Ambassador to the United Nations of Geneva, Jorge Valero, responded to his reportdenouncing “the unilateral coercive measures imposed by the US government , the economic war and the measures adopted by the Bolivarian government for the well-being of the Venezuelan people”. Words and facts that have convinced at least the UN Human Rights Council of the Swiss city which just yesterday, Thursday 21 March, “approved by a large majority a resolution presented by Venezuela on behalf of MNOAL (Movimiento de los No Alineados) on the negative effects of unilateral coercive measures (sanctions) on human rights “: The Foreign Ministry, Jorge Arreaza, announced it with great satisfaction, calling it:” Another victory of Multilateralism and Diplomacy of Peace! “. To understand how the country has entered into this spiral of contrasts, hatred and violence, the many words we have written in dozens of articles documented in detail thanks to primary and neutral sources are not enough. 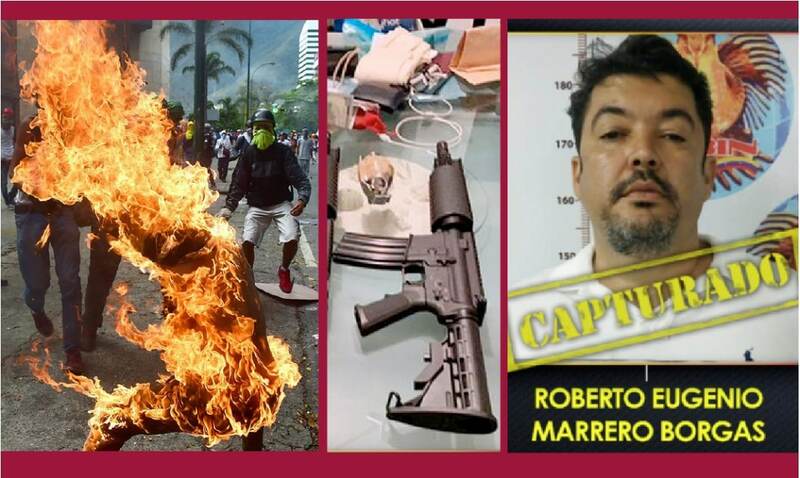 But the photos of some of the supporters of President Maduro are massacred during the protests in recent years by the protesters, mostly well-trained extreme right-wing guerrillas, who cost the sentence to 13 years of imprisonment to the previous leader of Voluntad Popular Leopoldo Lopez for incitement to violence. 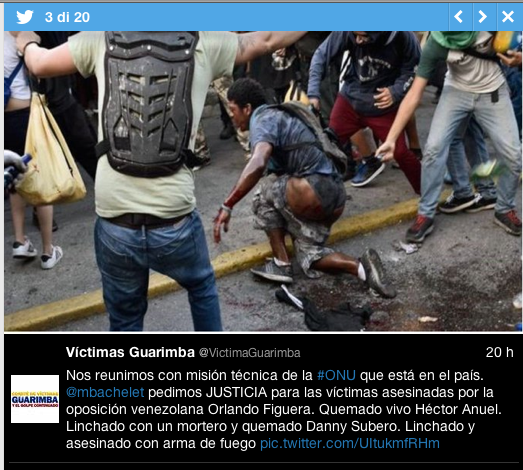 The cases of the dead murdered by the coup leaders, in fact, have been reported to the UN Human Rights Commission as shown on the twitter profile Victimas Guarimba, spontaneous organization that refers to the name given to the barricades and to the protests by Robert Alonso , terorico of the revolt in Venezuela against Hugo Chavez already in 2004, borrowing the innocuous name of a nymph childlike game like the western “hide-and-seek”. 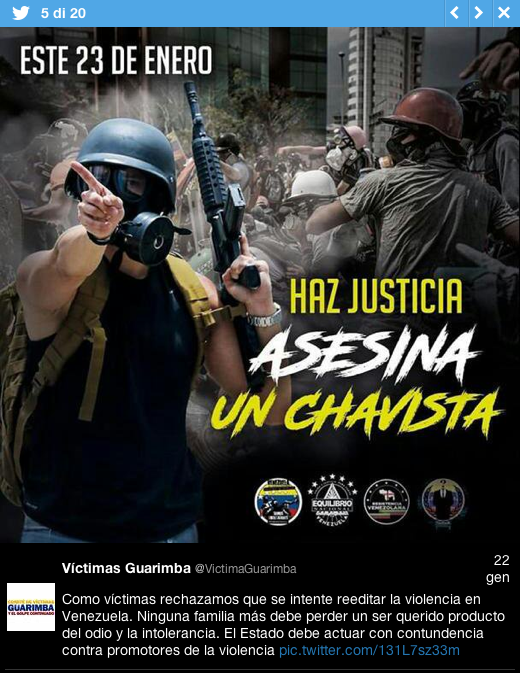 The same social account recalls the supporters of Bolivarian Socialism killed in the streets by the protesters set up first by Lopez and now by Guaidò: Orlando Figuera, burned alive; Hector Anuel, lynched with a hammer and burned; Danny Subero, lynched and murdered with a firearm.Their cases were brought before the UN inspectors also through the testimony of relatives. “I met you personally and never published anything about my son’s murder. 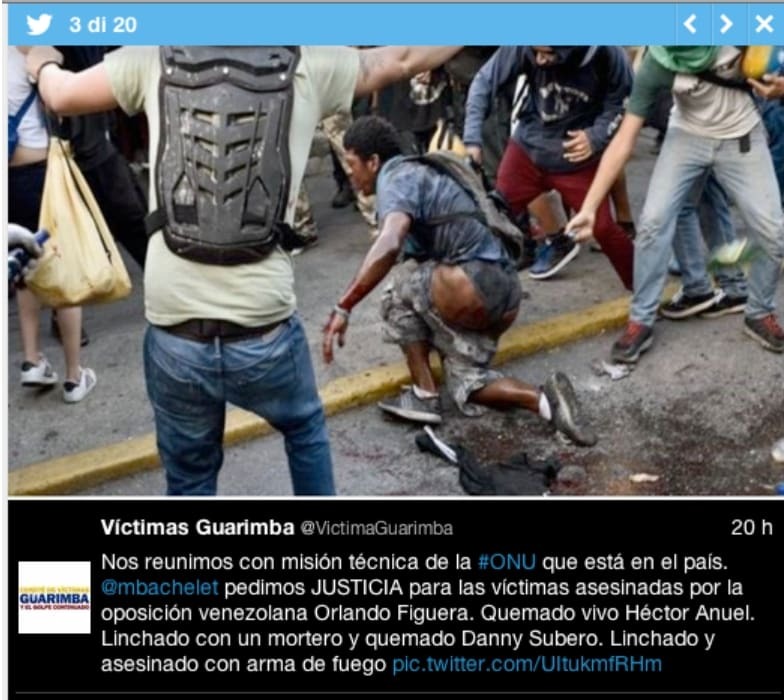 I ask Michelle Bachelet justice for all the victims killed by violent opposition groups, “said Ramzor Bracho’s mother , who was murdered during the Guarimbas in 2014.” My son was burned alive and all the culprits were taken out of the country. I ask the United Nations High Commissioner for Human Rights to do justice. 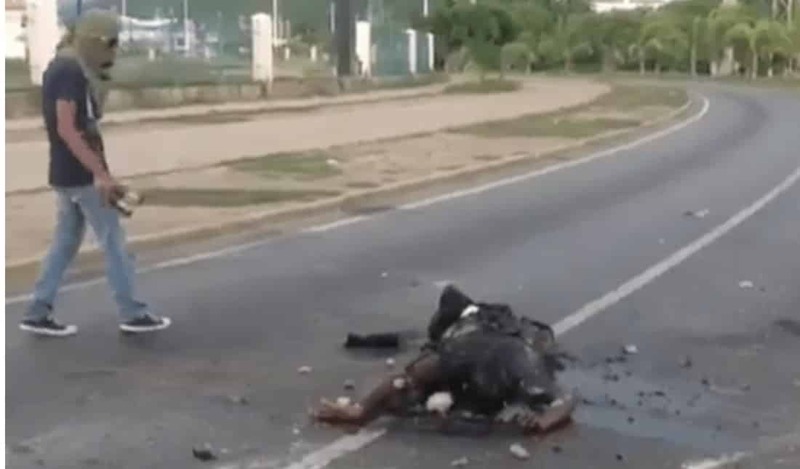 They are not peaceful demonstrators, they are bloodthirsty »said Orlando Figuera’s mother to the UN technical mission. 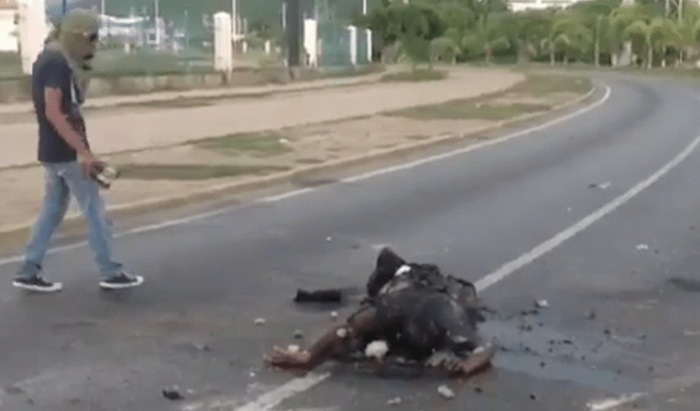 Other obvious examples are clearly visible in avideo shot by a South American television and posted on Facebook . 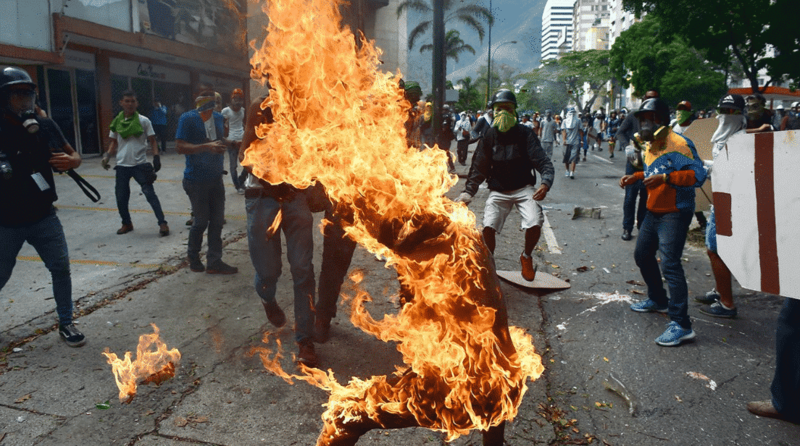 These simple episodes suffice to make it clear that in Caracas and its surroundings for years a sort of civil war has been underway that President Maduro has not yet fought for, precisely because of a moderate use of force and repression: certainly very different from that done only in recent years from countries like Saudi Arabia, Turkey, Ukraine and Isarele , historic allies of the United States of America . Yet another proof that in Venezuela the issue of human rights is the last of the interests of the White House . All in one article here is John Bolton and the U.N.Human Rights mentioned . John Bolton a war criminal and the United Nations as useless as a bucket without a bottom . But here we again see the U.S. at work covertly to steal the oil and anything else of value and to establish the Zionist banking system in a foreign country …..
Why does all this seem like a front page distraction from what’s been going on over in Zioland?